It’s funny how the simplest designs are often the best. 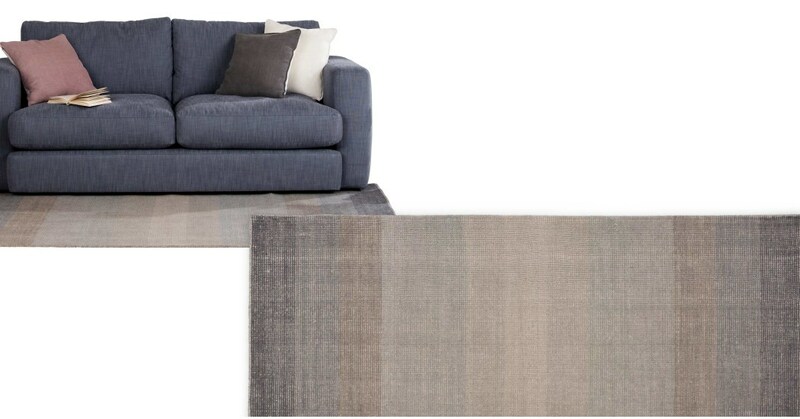 The Boston rug is one of those simple ideas: a series of vertical stripes that, in the right home, can really unify your living space. We chose the Gabbeh technique to hand-dye the yarns, so each rug is totally unique. It also creates that graduated pattern. The deep ombre tones fade into soft colour, like the colours of the horizon. From a distance you can really appreciate those graduated tones. But up close, the expert craftsmanship really comes to the fore. It was hand woven in India with a blend of wool and cotton.